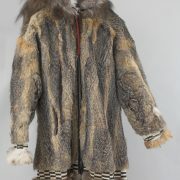 Showing items 1 - 5 of 12 for Tuktoyaktuk. 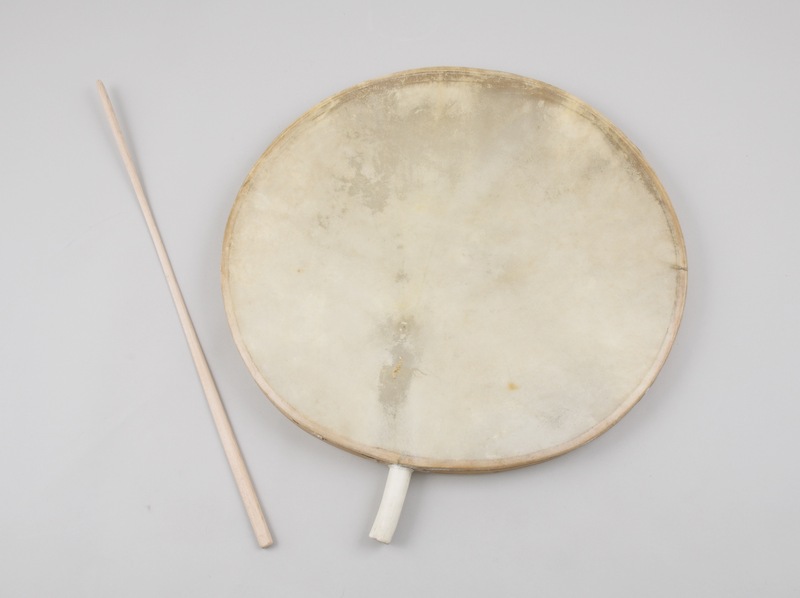 A drum of scraped caribou skin over a wooden frame. Maker Norman Felix (known as ‘Shepard’) was the drum maker for the Delta Dancers and Drummers until his death in 2005. 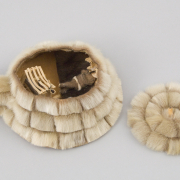 An igloo made from seal skin, hand stitched with white nylon thread by Bessie Andreason. The interior of the igloo includes a sleeping bench, tools, a woman holding a baby, and a man reclining on a bench smoking a pipe. 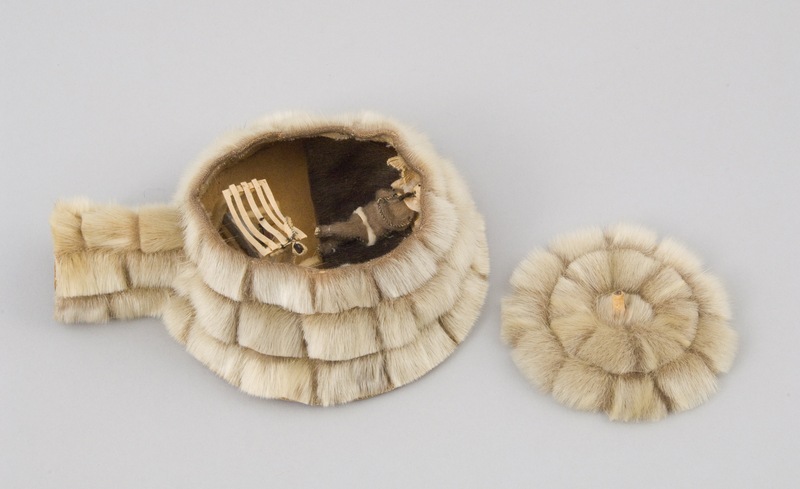 Collected by Reverend Leonard Holman who lived in Aklavik and Inuvik from 1955 to 1975. 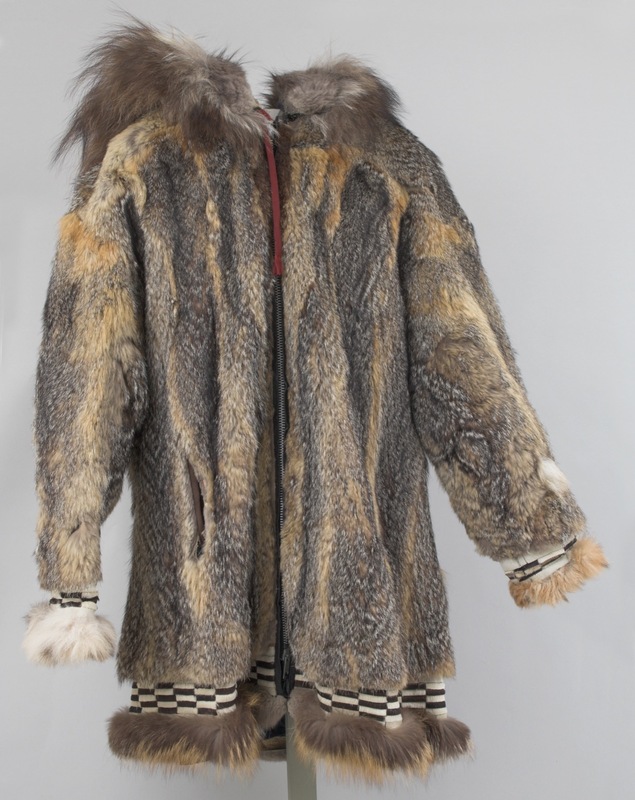 A parka made of arctic ground squirrel fur with a checker board fur pattern around bottom hem and cuffs. It was made for Silas Kangegana by his mother in 1962. 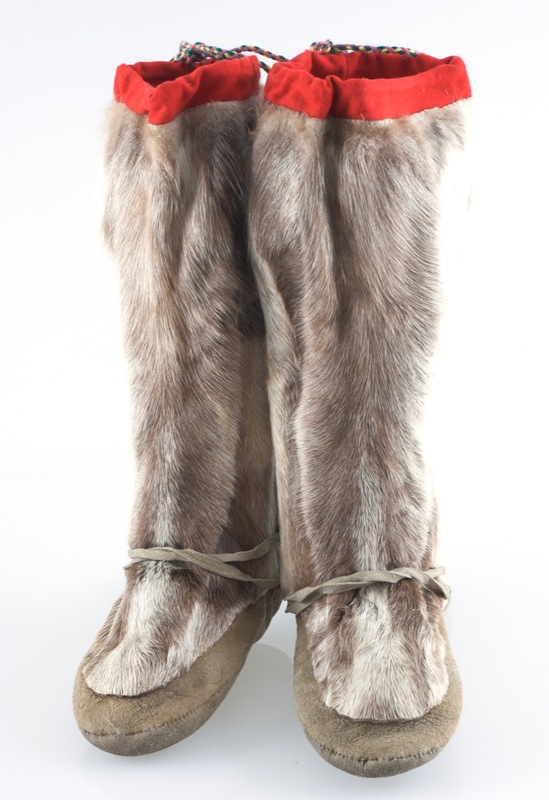 Silas was a reindeer herder in the Mackenzie Delta. 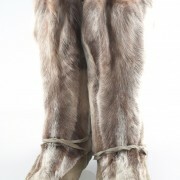 A pair of knee-high mukluks with caribou leg skins and moose hide soles. Made by Mary Gruben for her grandson Charlie. 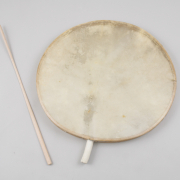 A hide scraper with wooden handle and metal blade. 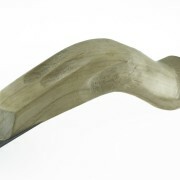 The wood was selected from driftwood on the beach, chosen with grain that follows the curvature of the hand. 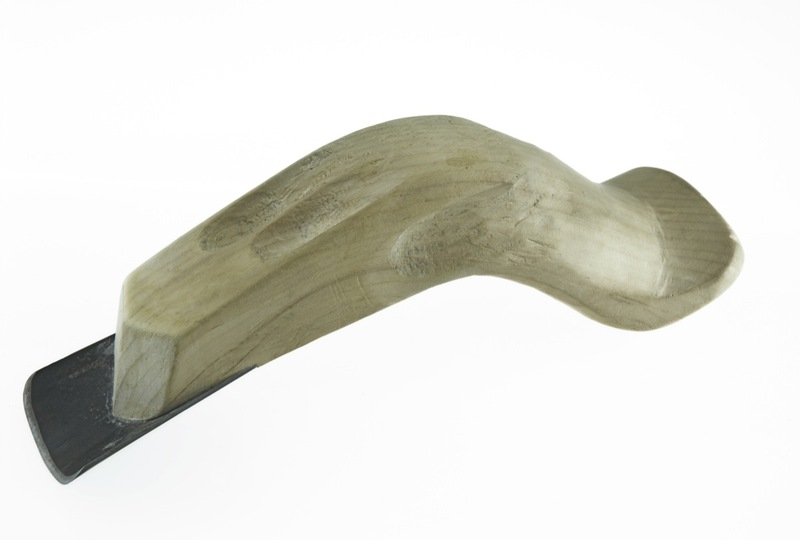 The blade is fashioned out of a piece of an old shotgun barrel.